My sister was visiting and wanted to make this cake for her birthday. We baked a cake and then frosted it. 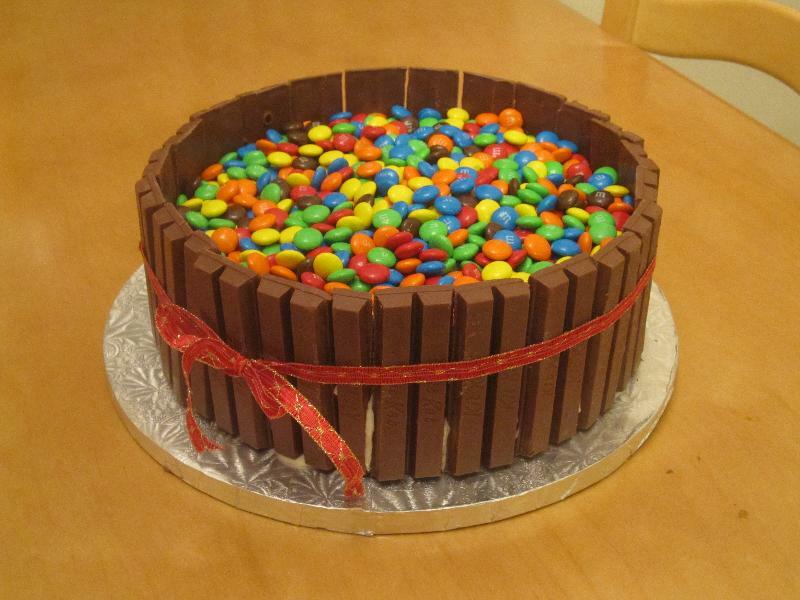 We broke up the Kit Kat bars to place around the cake. 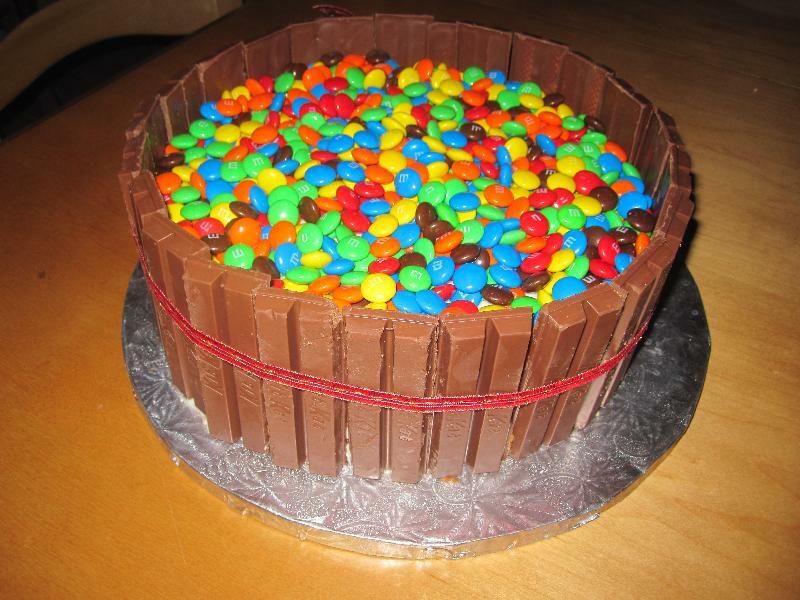 We held the Kit Kat bars onto the cake by pressing it into the frosting and then wrapping a ribbon around it. 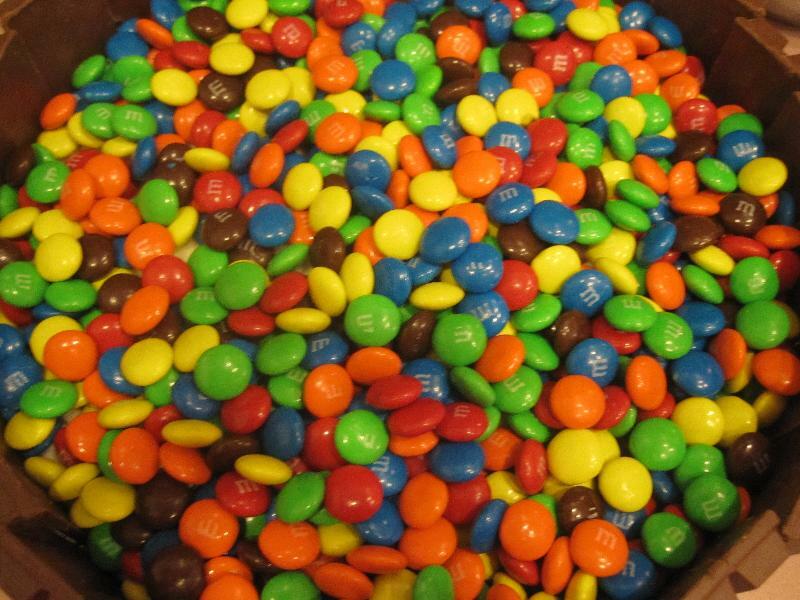 We poured a large bag of M&M's on the top of the cake. Description: A very sweet cake! kml9876 : It is a very, very sweet cake! We enjoyed it though.